The APC SMT series Smart-UPS 2U Rackmount 2200VA/1980W UPS with up to 5minutes runtime at full load is an advanced line interactive UPS system to protect network servers, storage and associated equipment. The UPS provides a clean and reliable network-grade power output, suitable for critical data and networking equipment. Smart-UPS units are highly efficient at low, medium and high load levels and are ideal for today’s multi-core and virtualised servers with varying load profiles. Typical applications include: servers, storage, point-of-sale terminals, switches, hubs, routers and other network devices. High Efficiency Green Mode: optimum efficiency to reduce utility and cooling costs. Emergency Power Off (EPO): for remote UPS shutoff in the event of a fire or other emergency (2200VA models and above). Alphanumeric LCD Display: intuitive interface to provide detailed and accurate information with ability to configure locally. Battery Disconnect: convenient way to disconnect battery for transportation. Network-grade Power: provides stable, conditioned power with noise filtering, automatic voltage regulation (AVR) and surge protection. Communication Ports: serial, USB, and SmartSlot for network accessory cards. Advanced Battery Management: temperature-compensated battery charger to extend battery life and advanced algorithms to recommend battery replacement date. Slim 2U Rack/Tower and 4U Short Depth Convertible Forms: display rotates easily for use in or out of a rack. High-frequency Design: reduced size (or eliminates) bulky transformers making installation even easier. 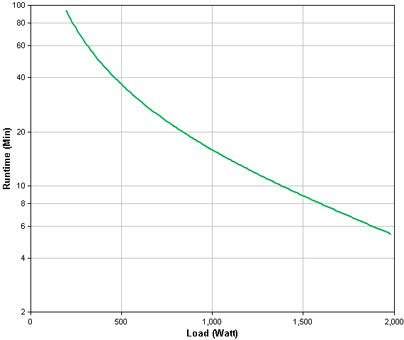 High-voltage Models: (2.2kVA and above) configurable Output from 200V – 240V on high-voltage models. Models available with Pre-installed Network Cards: models with ‘NC’ suffix are pre-installed with AP9631 network cards with environmental monitoring. Smart External Battery Connector: accept external batteries and increase runtime automatically to increase availability. Switched Outlet Groups: reboot hung devices, shed non-critical loads to conserve runtime and sequence start-up/turn off. LCD Display Screen: clear, consistent and detailed information in your choice of basic or advanced menus. Power Status: operating mode and efficiency, load VA/Watts/Amps, input/output voltage and frequency, battery capacity and runtime, energy meter and more. Control: UPS and outlet group settings. Con¬figuration: language, power quality settings, alarm, delay and threshold settings. Test and Diagnostics: initiate battery and runtime calibration tests. Logs: see explanation of last 10 transfers and faults. About: UPS and replacement battery part numbers, serial numbers, battery install, and suggested replacement dates. Quick Status Indicators: online, on battery, fault, and replace battery LEDs for quick status identification. Escape: exits to the previous menu or screen. Return: used to enter or confirm settings. Navigation Arrows: allows for quick adjustment of settings.